The Whisky Exchange’s Whisky Show is a massive, annual whisky tasting. 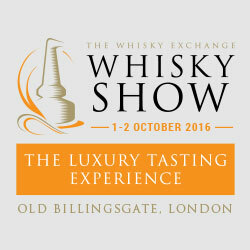 Saturday, Sunday with a trade show on Monday, each day is 6 hours of unlimited tasting of (this year) over 500 whiskies. There was whisky from Scotland, Japan, New Zealand, England, Wales, America and India. There were cocktails, whisky and food pairings, whisky and jazz pairings, and a man bothering a barrel with a hammer. I’ve never been to anything like this before – I went in with a plan but left it in the cloakroom, so we ended up like kids in a toy shop, taking on accidental full verticals from distilleries we happened to be standing next to, deep diving some distilleries I should know better but haven’t got round to yet, and getting under the counter samples of whiskies not on the list. And lunch was pretty good too. We sampled over 50 whiskies over the 6 hours, which meant for a very early bedtime but was just stunning fun. I’m not sure I could do the Sunday as well as the Saturday but I can’t wait until next year! Highly recommend.